Outside of the firm’s Philadelphia headquarters, New York is the largest and fastest growing of the firm’s offices. Since its opening in 2000, the office has expanded significantly both in the number of lawyers and the diversity of practice areas. Members of our New York team have diverse backgrounds and substantial experience in resolving difficult problems. We use an approach that balances advocacy with practicality in order to provide cost-effective and effective solutions. We spend time understanding the business of our clients so that we are in the position to best address their needs and provide clear guidance. Approximately 35 lawyers work in the New York office and handle a variety of business, insurance and litigation matters. The business and transactional lawyers regularly advise clients on corporate and securities, M&A, finance, financial restructuring and bankruptcy, healthcare, intellectual property, international transactions, private equity and venture capital, real estate, start up and technology, and tax matters across multiple industries. Our insurance practice is extremely diverse, with significant depth and experience in trial, advisory and regulatory matters. The areas of specialization include D&O coverage; insurance coverage and bad faith; insurance transactional and regulatory; life, health, disability and ERISA; professional liability; reinsurance; and representations and warranties coverage issues. The litigation and dispute resolution group handles business related matters at the state, federal and international level. This group regularly advises clients with respect to general commercial litigation, creditor rights, cyber law and data protection, healthcare, intellectual property, labor and employment, and white collar defense, investigations and corporate compliance. Together with the firm’s offices in Newark, New Jersey and Westchester County, New York, the New York City location gives us the ability to resolve client issues on a multi-jurisdictional basis. While we handle client matters on a local and northeast regional basis, our geographic reach is extremely broad and diversified. Our location in New York City also results in many client representations on a national as well as international basis. 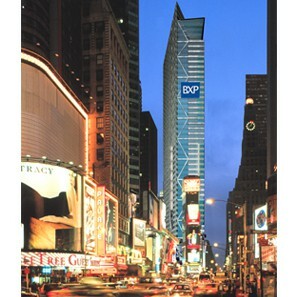 The New York office is conveniently located in Midtown, the city's commercial business district. Situated in the heart of Times Square, its close proximity to Pennsylvania Station allows ease of transportation via Amtrak, Long Island Rail Road, New Jersey Transit, express and local bus service, and subway. The office is also close to LaGuardia and Newark Liberty International Airports as well as a variety of regional airports.